A porch is external to the walls of the main building proper, but may be enclosed by screen, latticework, broad windows, or other light frame walls extending from the main structure. There are various styles of porches, all of which depend on the architectural tradition of its location. All porches will allow for sufficient space for a person to comfortably pause before entering or after exiting the building. Porch staircase and railings are a main feature of your home. If you have a wooden built home and it does not have a wooden porch or lack in proper wooden porch, then, it will lose its charm. Despite of the fact that the house is very expensive, but, it will not get attractive and dashing unless it will have a wooden porch constructed in front side. 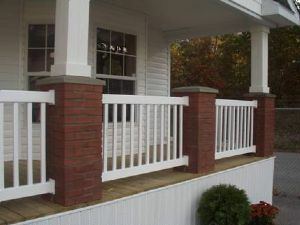 Wooden railings should also need to be protected with wooden porch railings. Beside acting as a barrier for your kid's protection and rendering a classic look for your house, wooden porch railings also render an ultimate look to your home by blending with the latter. There are several types of porch railings like wooden porch railings, vinyl railings, and iron porch railings to protecting your home. 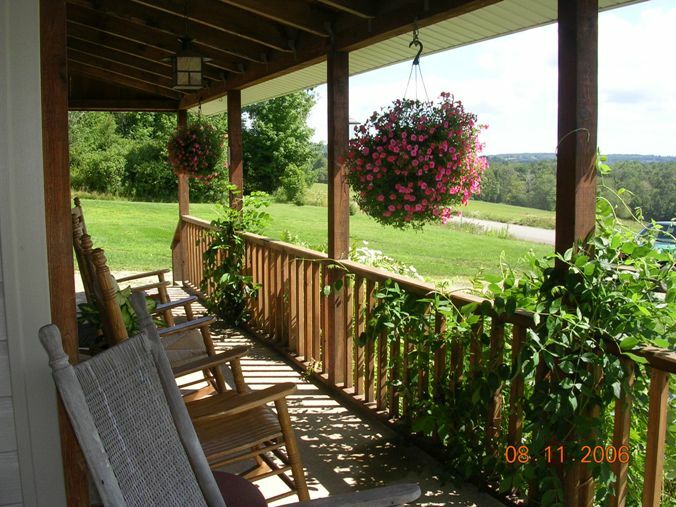 However, wooden porch railings are quite magnificent and are inexpensive to be constructed. 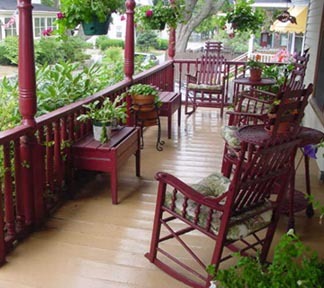 Wooden porch railings are cost effective and impart a dashing look to the house. Other benefits include you can organize an event and those wooden porches would serve as a place for any event. The wooden porch railings are very easy to be prepared. Due to flexibility of wood, these wooden porch railings could be designed and implemented in accordance with client's needs. Wooden porch railings do not need any major maintenance. When you need to get a wooden porch constructed in the front side of your house, then, you need to hire a front porch constructor. A professional front porch contractor will guide and prepare the whole list of material needed for porch designs. He would also produce a billing document. The front stair rail also need to be constructed with lot of care and a professional porch contractor should know all the criteria like the stress and strain in the railing corners when the sloppy railing would be constructed over the stair. Other sturdy material being concrete can also be used for precast concrete stairs and treads. These types of structures are common in commercial and other flat building where the maintenance factor is a cause of concern. Precast concrete stairs do not need any periodic maintenance, but, they are quite sturdy and could survive for decades, and look good with landscaping. While building a wooden front porch and also wooden porch railings, you also need to consider several specifications. The front porch landscaping also need to be designed in the paper and you also need to make sure wooden porch blends with the surrounding furniture of the house. If your porch design does not match with material or furniture of your house, then, your house would not appear alright. The whole front porch landscaping criteria can make your house look beautiful. Enjoying time with your family and friends in the beautifully built porch landscaping can make the moments unforgettable. The front porch repair work does not need any major efforts, but, a porch contractor should be hired for assisting the issues. Clevelandbricksandmortar.com is an ace Front Porch Construction Company in the Ohio area of Cleveland and Cuyahoga County. Call 216-210-8225 and get your all kinds of porch and porch rallying constructed at best prices. Sometimes repairing or replacing a porch can be a complex job. The foundation may need to be dug out to below the frost plane and rebuilt. Multiple trades may be involved including demolition, carpentry, masonry, electrical, and painting. The porch roof must be jacked up and braced while the porch below is dismantled. But whatever happened to your porch, we can fix it. And we can make a new porch that is more beautiful and functional than the original porch. Note: We repair sinking concrete porch floors! Whatever the current style of your porch, we can rebuild it, including brick and stone banisters, railings, and columns -- even stone lions' heads and gargoyles if you like. Or we can build a traditional wood porch with wood railings and columns that can be enhanced with filigree to set it off. 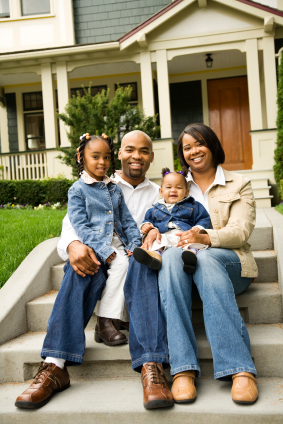 Whatever your desires, we can safely and economically build a beautiful porch for you and your family. Frequently we can replace defective steps with economical molded concrete stairs, but we also can make custom stairs, for example, with brick risers and stone treads. Whatever your special needs might be, we've probably done it before, and will do it properly for you. Many suburban inspectors demand repairs to maintain the desired standard of living in their commuity. If you have been cited for a building code violation we can promptly bring you into compliance. We are licensed throughout Greater Cleveland / Cuyahoga County.